Don't miss the spring Job and Internship fair at SUNY Oneonta Campus! Don’t miss the spring Job and Internship fair at SUNY Oneonta Campus! 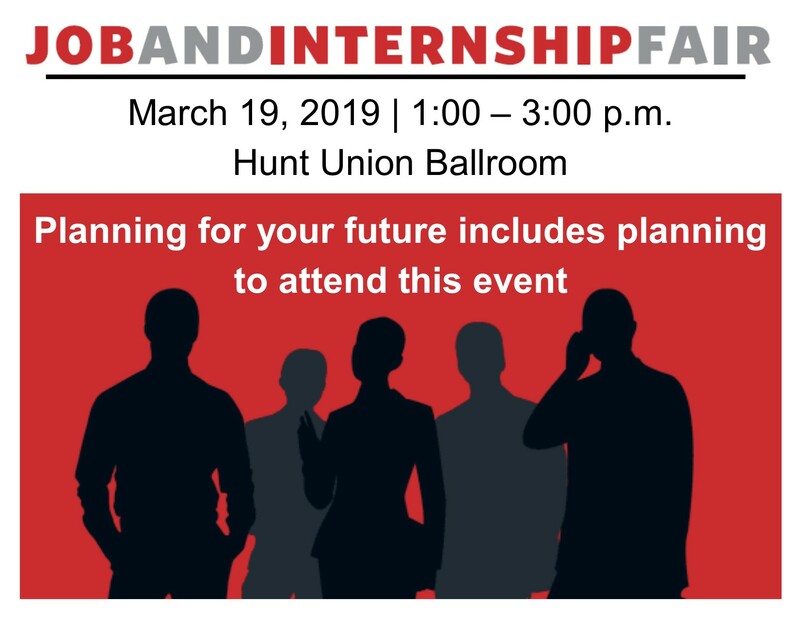 Oneonta's Job and Internship Fair, on Tuesday, March 19, 2019, from 1-3 p.m., in the Hunt Union Ballroom, on the SUNY Oneonta campus. This event promotes local and regional jobs, internships and volunteer opportunities. Registration for the event is now open and closes February 26, 2019. For-Profit organizations: $60 for one recruiter, $20 for each additional recruiter. Not-for Profit Organizations: $30 for one recruiter, $20 for each additional recruiter. Registration includes: one six-foot table with a white table cloth, two chairs, a parking pass and light refreshments. Would you like to know how to register or learn more information? Can contact us at: Career Development Center at (607) 436-2534 or email at [email protected]. Your Chamber of Commerce offers its members quarterly Member Orientations to become familiar with all aspects of the Chamber and meet new members. Whether you’re a new or existing member, these quarterly Member Orientations are a great way to connect with your Chamber and meet a local sponsoring organization each month. 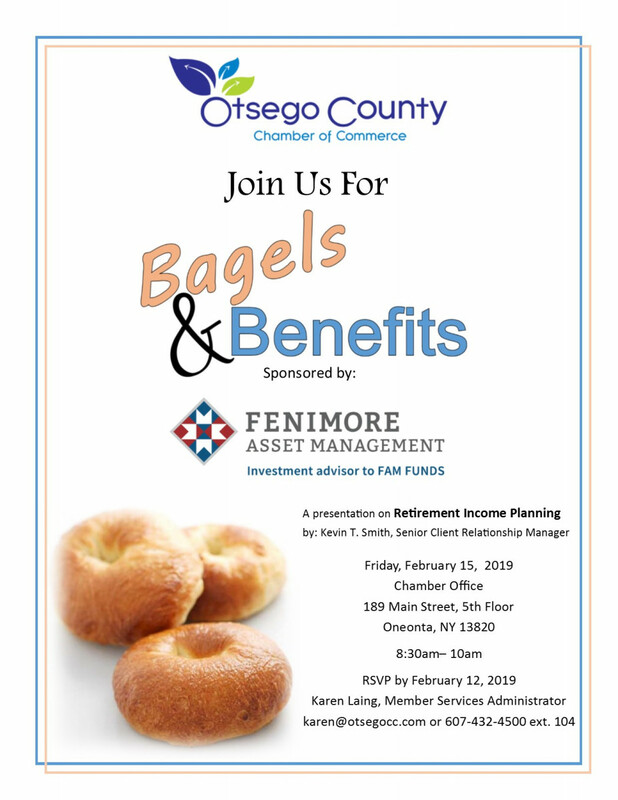 For February , Chamber member Fenimore Asset Management. Meet the entire Chamber staff and Member Services Committee Members to learn how we can impact your business. The orientations are always FREE, but do require an RSVP. Details below to RSVP.